What follows is a roundup of some of the new, forward-looking products I spotted during my days in Las Vegas. All prices in USD. DTS Play-Fi was everywhere at CES 2017. MartinLogan, Paradigm, Sonus Faber, Thiel, and many others showed products incorporating the wireless multiroom technology, but for me, the most significant Play-Fi introduction was Arcam’s rPlay music receiver ($599). The rPlay was designed as a way to add wireless, high-resolution audio streaming to any system. Along with Play-Fi, it supports AirPlay and UPnP to stream music over a Wi-Fi or wired Ethernet network. Outputs include coaxial digital and both fixed and variable analog connections, each of which benefits from individually regulated power supplies to reduce noise. Up to eight rPlays can be linked for multiroom use, with support for signals of up to 24-bit/192kHz resolution in the main zone, and 24/96 in additional zones. Arcam expects to ship the rPlay in Q3 of 2017. 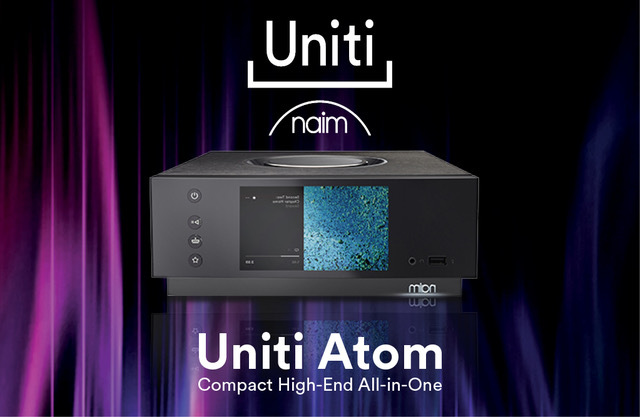 Naim used CES 2017 to introduce the Star and Nova, two higher-powered takes on the Uniti Atom system that Simplifi has queued up for review. Both models provide built-in class-A/B amplification (70Wpc in the Star, 80Wpc in the Nova) and can stream music over a wired or wireless network via a range of protocols including AirPlay, Chromecast, and UPnP. The Uniti family also features Bluetooth aptX HD, integrated Spotify Connect, Tidal, and Internet Radio streaming -- all of it controlled using the company’s custom app. The Star and Nova display album-cover art on a 5” color LCD display and feature analog, digital, and HDMI input connections plus preamp/subwoofer and headphone outputs. USB and SD Card connections are provided on the Nova’s front panel, while the Star has a built-in CD ripper and onboard storage. Uniti systems can also link up in a multiroom configuration with the company’s Mu-so and Mu-so QB all-in-one units. When they ship in June, the Star and Nova will sell for $5495 and $6995, respectively. Musical Fidelity’s M6 Encore 225 integrated streaming/playback system provides an audiophile option with a significantly higher power output than the Naim Uniti systems discussed above. With a 225Wpc amp, the M6 Encore 225 also features a built-in CD drive plus 1TB of onboard storage that can be used for bit-perfect ripping of up to 2500 discs. Wi-Fi and Ethernet connectivity are provided for Tidal and Internet Radio streaming using the company’s iOS/Android MF app. The M6 Encore 225’s inputs include two each optical and coaxial digital, three analog, and four USB ports. Outputs include fixed and variable analog and coaxial digital, and there’s a headphone jack. Support of hi-rez audio signals will extend to 24/192 with a forthcoming software upgrade, and a DSD option is in the works. When it arrives in February, the M6 Encore 225 will set you back $5999. Audiophiles form attachments to their speaker cables. To break that attachment, KEF has created the LS50 Wireless, an “active music system” based on the company’s well-regarded LS50 passive speaker. KEF’s apparent strategy with the LS50 Wireless was to overdeliver in every way. Each speaker contains dual 24/192 DACs and has 200W on tap to power a 5.25” midrange-bass driver, and 30W for a 1” tweeter, the two drivers arrayed in KEF’s coaxial Uni-Q configuration. Connection options include Wi-Fi and Bluetooth aptX wireless, along with Asynchronous USB, optical digital, and stereo analog RCA jacks. A subwoofer output is provided, and there are three customizable EQ settings to compensate for various speaker positions in the room. System control is carried out via KEF’s iOS/Android app, which provides extensive options for setup and content streaming. The L50 Wireless is available now for $2200/pair in three cabinet/driver color combinations: Gray/Red, Black/Blue, or White/Copper. One of several products that Chord Electronics rolled out at its CES 2017 press event was the Poly, a streaming module designed to attach to and work with the company’s Mojo DAC-headphone amp. As a mobile device, the Poly doesn’t exactly fit the mandate of this website. Even so, it’s such a brilliant example of all-in-one functionality added to otherwise isolated gear that I felt it deserved mention. The Poly is charged via a Micro USB port, and can also juice up an attached Mojo when both units are connected. Chord claims a playing time of nine hours on a single charge. AirPlay, Wi-Fi, and Bluetooth connectivity are supported, and the Poly can also serve as a DLNA renderer. Lastly, it provides an SD Card slot and is Roon Ready, to permit wireless synchronization with Roon’s music-player software. The Poly supports DSD, FLAC, ALAC, and PCM files with up to 768kHz resolution. Look for it to arrive sometime in early 2017 for around $800. Bang & Olufsen proper didn’t exhibit at CES 2017, but their B&O Play division used the show to launch its new Beoplay M5. 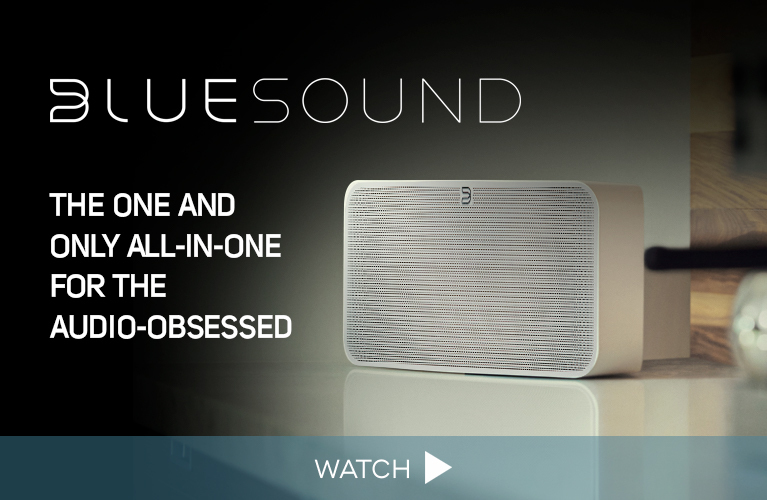 The compact Wi-Fi speaker supports streaming via AirPlay, Chromecast built-in, Spotify Connect, and Bluetooth. Bass in the M5 is handled by a 5” downfiring woofer, while a single 1.5” midrange driver and three 0.75” tweeters fill out the rest of the range. The cylindrical speaker’s three tweeters are arrayed horizontally at equal intervals, an arrangement that works in tandem with DSP control to deliver an omnidirectional stereo soundstage. As usual with B&O products, the new speaker is a looker: swathed in an acoustically transparent cover of gray wool (other colors will be available), it’s topped by an aluminum cap with touch-sensitive buttons for controlling playback and adjusting volume. The Beoplay M5 is available now for $599.